Something a bit different from YG studios today. 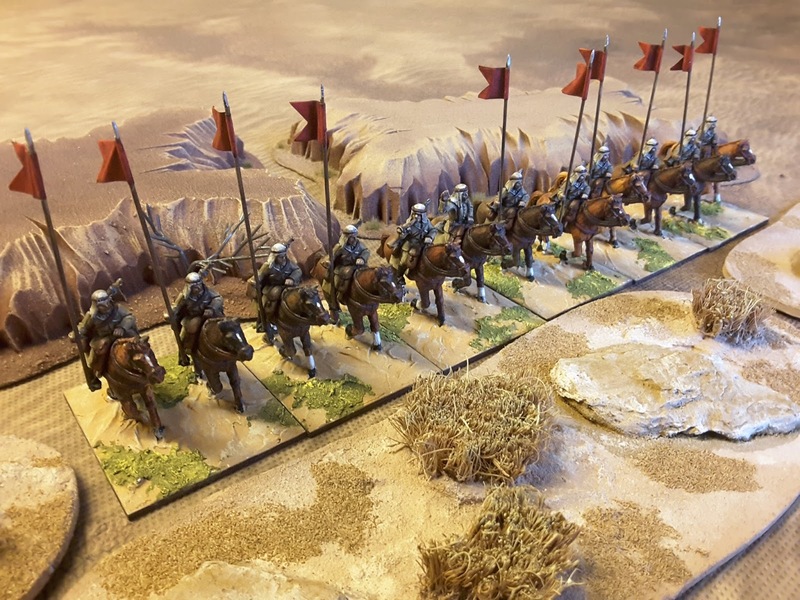 It was about time I got some Cavalry for Mesopotamia, here is attempt No 1. Obscure figures from Minifigs of all people. A nice addition to the collection but I will need a few more before they become useful. Wish there was more figures avaliable for WW1 in the East. My, my, what long lances your men have…. They do like a BIG lance, so they say ! 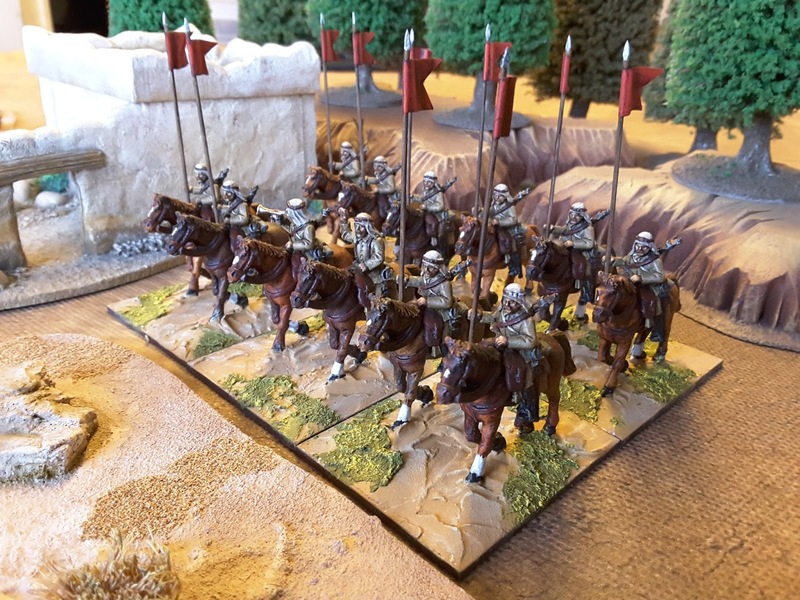 So, something a bit more efficient than the usual Arab cavalry then?